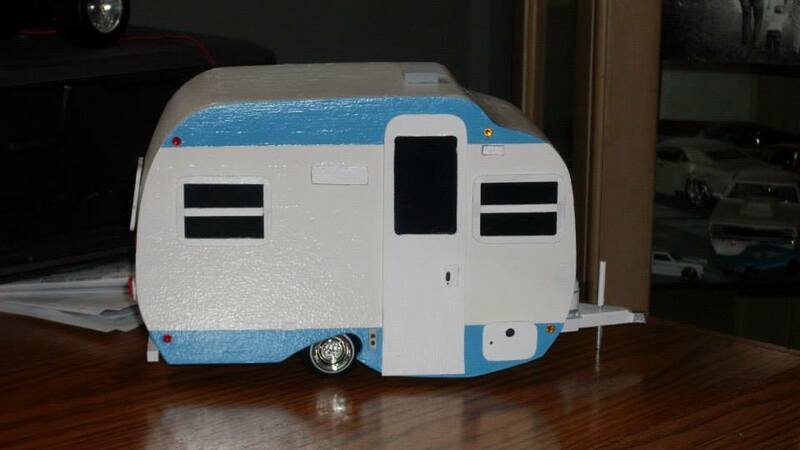 When 50 year old Dennis Grindle first built a model of a 1960’s Aristocrat travel trailer eight months ago, little did he know what a niche little enterprise he started for himself. “The first model I did was an Aristocrat 60’s model. From then I just started building my collection and posting my pictures. 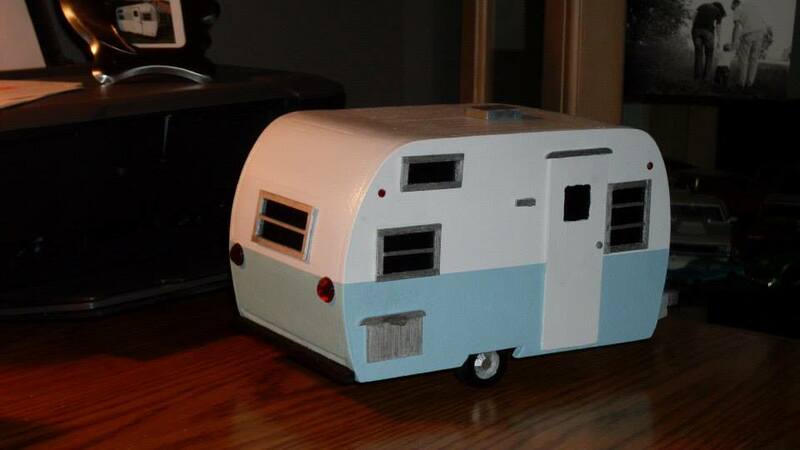 From then a person contacted me on Facebook asking me to build her one. 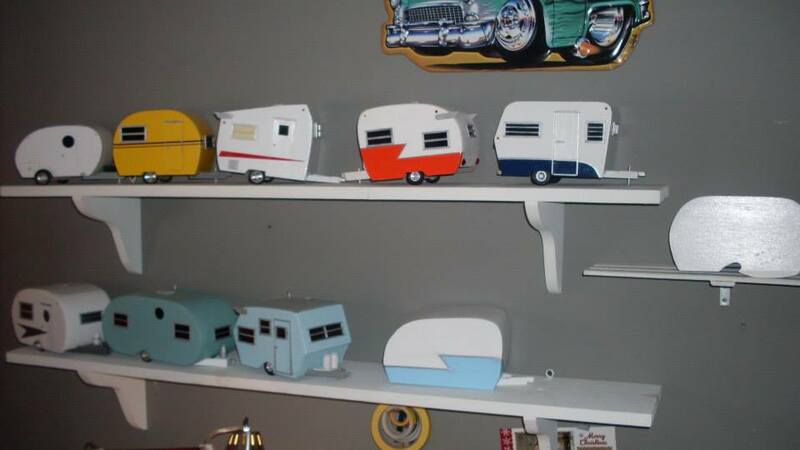 I had noticed that people have a love for their Glampers, as they call them, and by word of mouth they took off.” Through that word of mouth (mainly on Facebook), Dennis has built several classic Serro Scotties, Shastas, an Airfloat, and even a 5th wheel. Dennis doesn’t have a website, but you can view more of his work on his Facebook page: https://www.facebook.com/dennis.grindle. 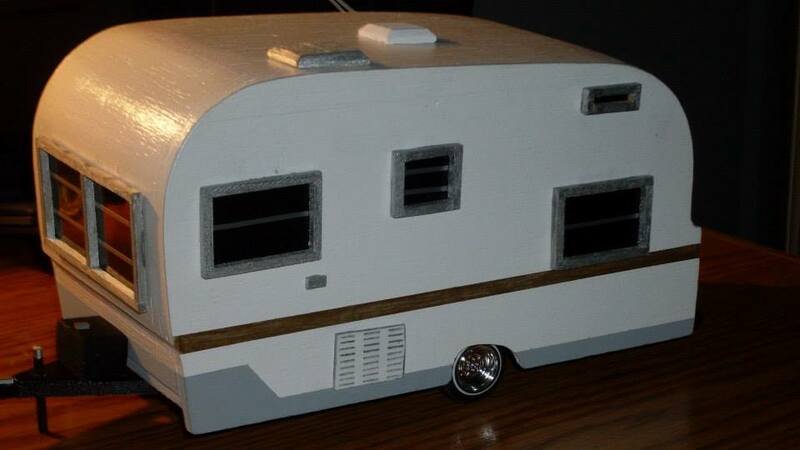 To inquire about having your own camper built, you can contact Dennis via e-mail at bearbutt40@yahoo.com Cost of his models are $40 plus $10 shipping. 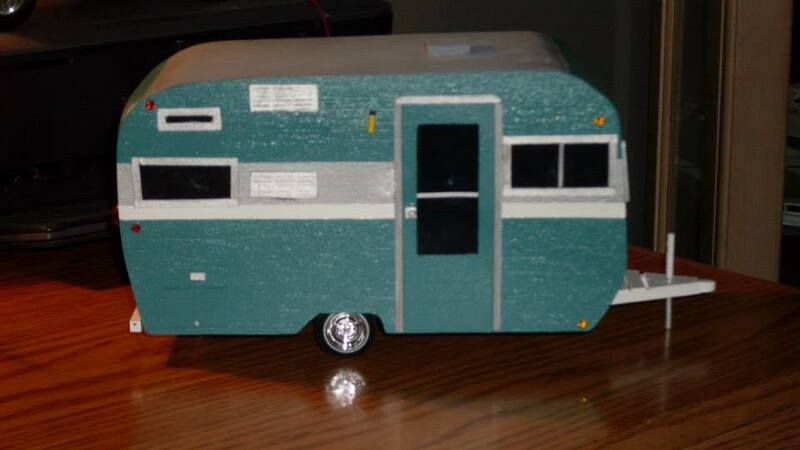 I’ve often wondered how small trailers figure into the overall production numbers of manufacturers. That same question was posed to me recently by Russ Forney, who along with his mate Cinderella, resides in Wyoming. Unfortunately I didn’t have an answer, but Russ did some investigative work for a magazine article he’s working on. 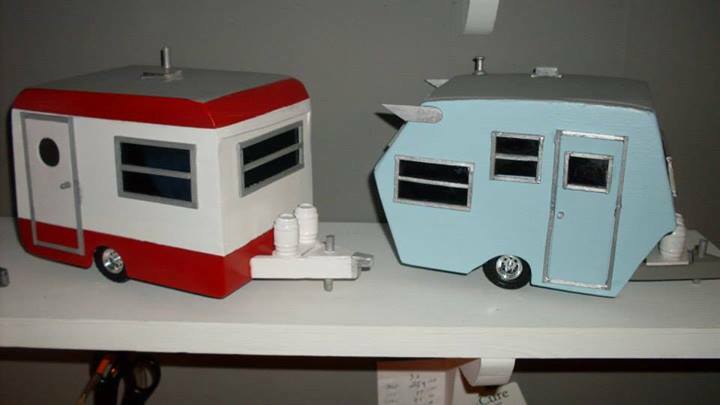 The results were provided by the Recreational Vehicle Industry Association (RVIA), and were for production during the 2011 and 2012 manufacturing years. 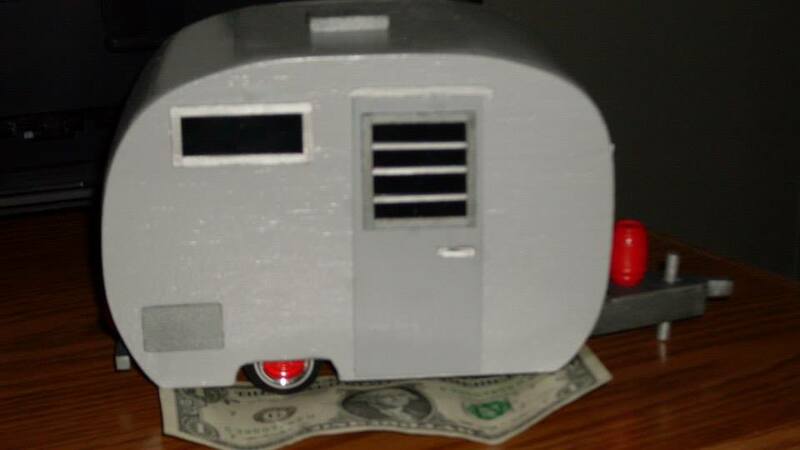 The data provided was for travel trailers less than 20′ in length that were shipped by the manufacturers, but not actual units sold by dealers. 2013 numbers were not yet available, but in 2012, of the 176,900 travel trailers shipped to dealers, 13,620 fell below the 20′ mark. That represents 7.7% of all trailers shipped. The RVIA reported the same 7.7% for 2011 production. To further expand on the numbers Russ provided, the analyst firm Robert W. Baird, citing data from Statistical Surveys, reports that total towable sales increased some 17% in 2013. It could be assumed that 2013 small trailer numbers were likely in the ballpark as they were in 2011 and 2012, so with that theory in mind, total small trailer sales in 2013 were likely pushing 16,000 units. One thing to note, the RVIA did not provide any breakdown of the trailers less than 20′. That said, we don’t know what percentage of those were pop-ups, hybrids, and traditional travel trailers.